It was an impromptu visit to Windsor yesterday that gave the perfect opportunity to capture a few stunning photographs of the Thames by night. 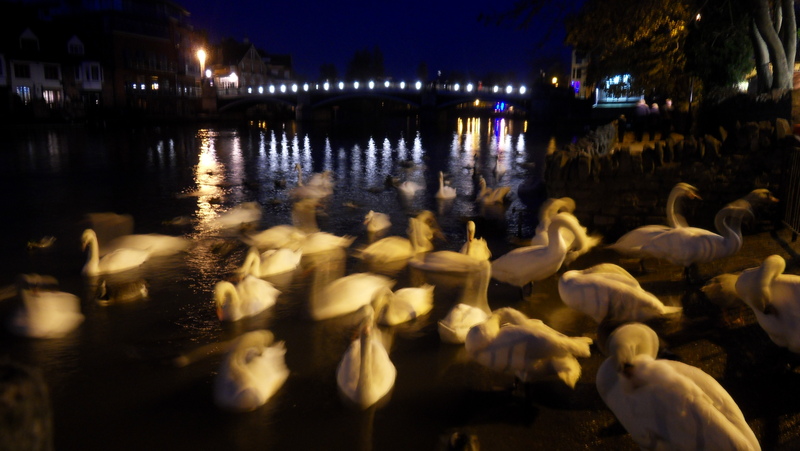 Crowds of beautiful swans milled around against the vibrant backdrop of Windsor Town Bridge, creating photographs full of movement and atmosphere. Autumn is closing in around us, the air is chilling and the ground freezing under foot. Wildlife is becoming more scarce and the sun chooses which days it is going to shine. 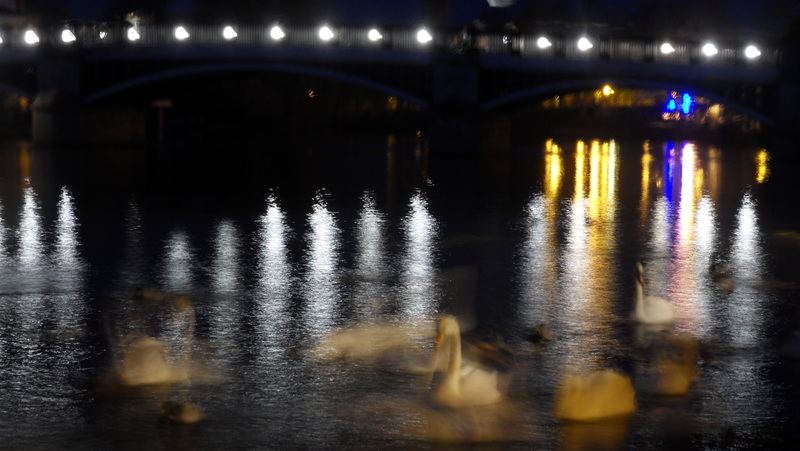 This entry was posted in Seasons and tagged Imagery, night time, swans, Thames, Windsor. Gorgeous pictures, it struck me as I looked at them that they would make really lovely and unusual Christmas Cards.